Call me anti-Semitic. I dare you. I am a white Jew. I, w/ other white Jews, criticize AIPAC endlessly for buying support. No one bats an eye. But when Black folk, incl. Black Jews, have made similar criticisms, they’re attacked relentlessly. 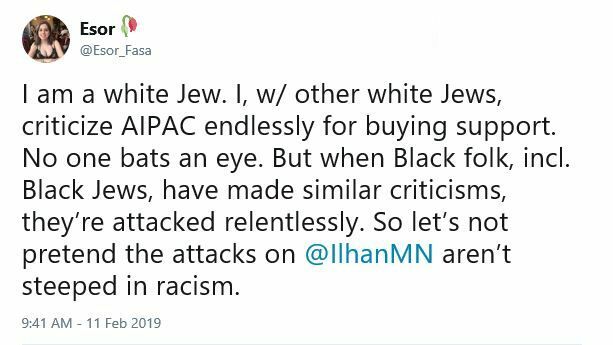 So let’s not pretend the attacks on @IlhanMN aren’t steeped in racism. 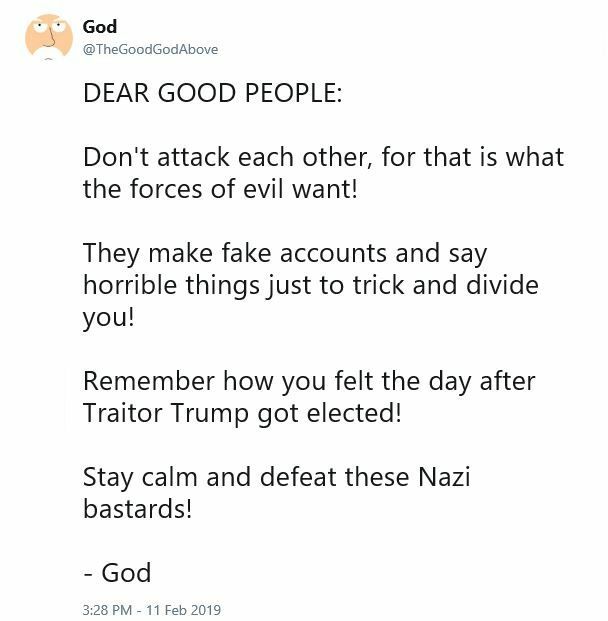 Don’t attack each other, for that is what the forces of evil want! They make fake accounts and say horrible things just to trick and divide you! Remember how you felt the day after Traitor Trump got elected! Stay calm and defeat these Nazi bastards! It is all about the Benjamins (By the way, nicely punned). AIPAC doesn’t give political contributions; its political clout (which faded in the 2000s) is due to the single-issue voters it can wield. The problem with Congresswoman Omar’s two tweets is that they recalled the old and widespread anti-Semitic trope of the rich Jew who wields invisible and corrupting power buying a country’s government. Still, the Bibi pun was priceless.